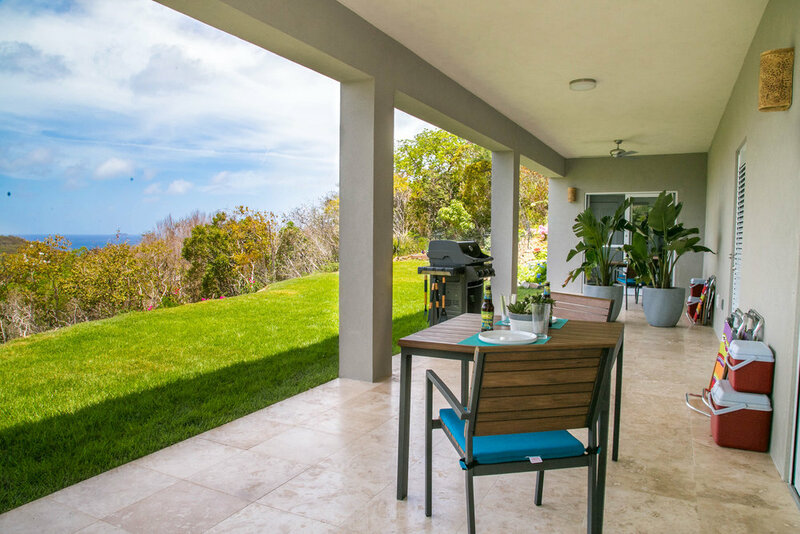 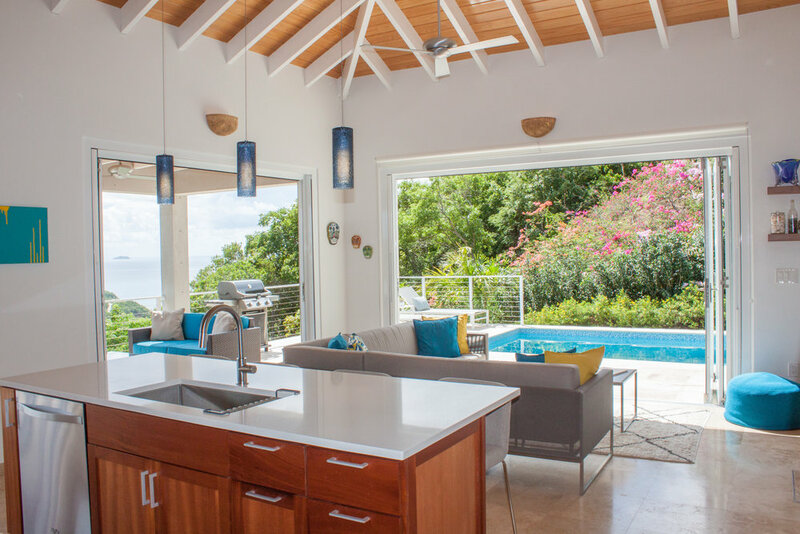 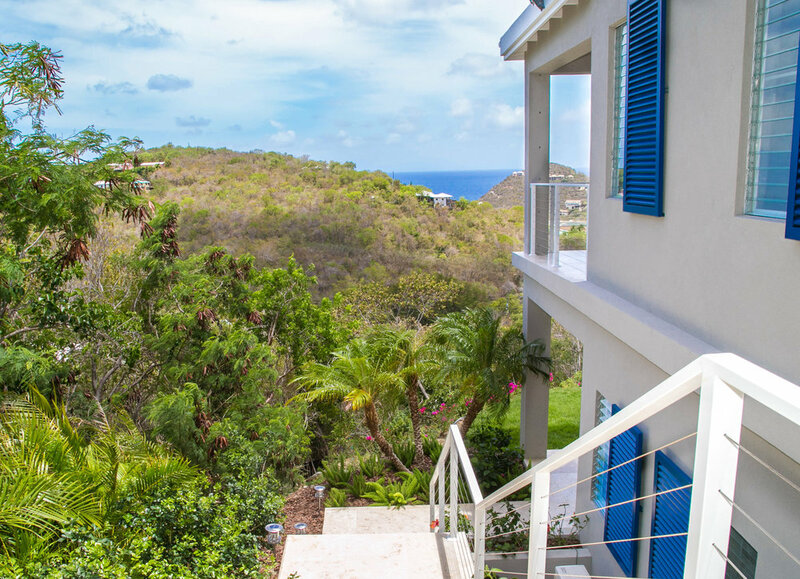 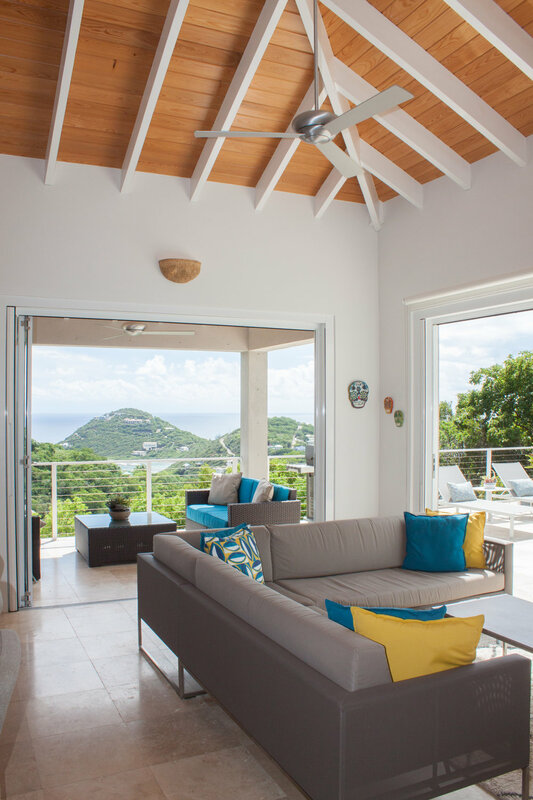 Situated on a hill overlooking the Caribbean Sea to the south, this residence is a modern Caribbean home with a nod to the traditional Danish colonial structures found in the Virgin Islands. 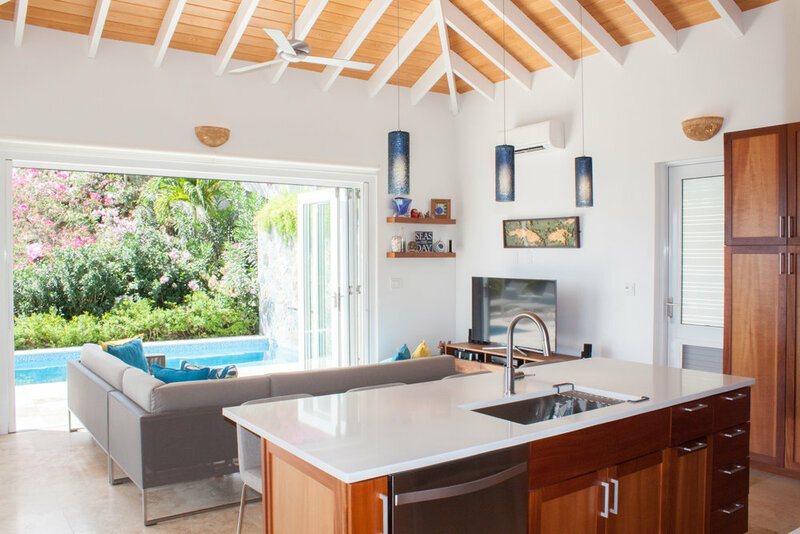 The overall form, with its large hipped roof, is evocative of tradition while the detailing is contemporary. 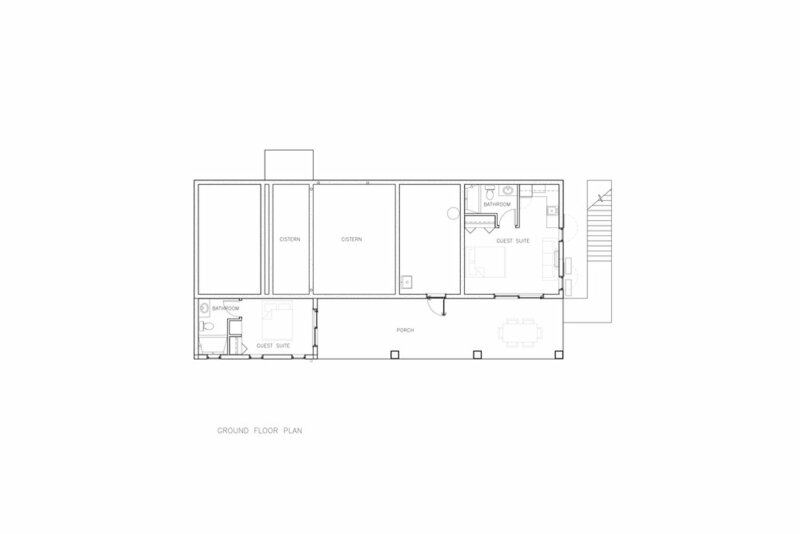 The ground floor contains two independent rental suites while the main floor comprises the permanent residence.